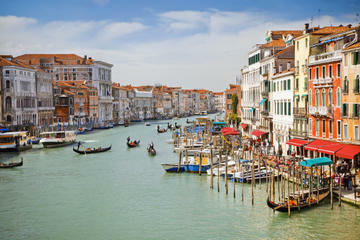 With a city as filled with tourist attractions as Venice, it's hard to know where to begin. Perhaps the best way is to simply get lost for a few hours wandering through its enchanting little streets and passageways, strolling beside its canals, and finding its secret corners. At every turn, you'll see something worth remembering with a photo. No matter where this exploration takes you, it's easy to find your way back to Piazza San Marco and the Grand Canal. Most of the best sights you'll want to visit lie around these two landmarks. Venice is divided into six sestieri, neighborhoods that have distinctly different characters. San Marco is the central one, surrounded on three sides by a great loop in the Grand Canal. Across Rialto Bridge is the artisans' neighborhood of San Polo, and across the Grand Canal to the south is stylish Dorsoduro, with its prestigious art museums and lively squares. At the outer edges are Santa Croce, Castello, and Cannaregio, home of the original Ghetto. Beyond the six sestieri - neighborhoods - of the city itself, you'll want to hop aboard a vaporetto to its islands: Lido, Murano, Burano, and Torcello. A fourth island, San Giorgio Maggiore, is worth visiting for the beautiful views of San Marco and Venice from the tower of its church. Certainly Venice's best-known church, and one of the most easily recognized in the world, St. Mark's Basilica (Basilica di San Marco) was originally the Doge's private chapel, decorated with Byzantine art treasures that are part of the booty brought back by Venetian ships after the fall of Constantinople. The gold-backed mosaic pictures above the doorways on the façade only hint at the mosaic artistry inside, where 4,240 square meters of gold mosaics cover the domes and walls. These set a distinctly Byzantine tone to its soaring interior, but you'll find treasures from other periods, including later mosaics designed by Titian and Tintoretto - names you'll encounter all over the city. The magnificent golden altarpiece, the Pala d'Oro, one of the finest in Europe, was begun by early 12th-century artists, and centuries later, adorned with nearly 2,000 gems and precious stones. If you can tear your eyes from this, the mosaic domes, and the multitude of richly decorated altars, glance down at the floor, a masterpiece of marble inlay. And take time to see the gold reliquaries and icons in the Treasury. The vast expanse of Venice's largest square is brought together and made to seem almost intimate by the elegant uniformity of its architecture on three sides. But more than its architectural grace, St. Mark's Square (Piazza San Marco) is loved as Venice's living room, the place everybody gathers, strolls, drinks coffee, stops to chat, meets friends and tour guides, or just passes through on the way to work or play. Three sides are framed in arcades, beneath which are fashionable shops and even more fashionable cafés. The open end is bookmarked by the erratic, exotic curves, swirls, mosaics, and lacy stone filigree of St. Mark's Basilica. Above it towers the brick shaft of the campanile. For overviews of this busy piazza, you can go to its top or to the top of the Torre dell'Orologio, where a pair of "Moors" strikes the hour. Visitors arriving in Venice once stepped ashore under the façade of this extraordinary palace. They couldn't have failed to be impressed, both by its size and the finesse of its architecture. If they were received inside by the Doges, the impression would only strengthen as they entered through the Porta della Carta, a perfect example of Venetian Gothic at its height, and ascended the monumental Scala dei Giganti and the gold vaulted Scala d'Oro to be received in what many consider to be the palace's most beautiful chamber, Sala del Collegio. Even jaded 21st-century travelers gasp in awe at the palace's grandeur and lavish decoration. You'll see works by all the Venetian greats including Tintoretto, whose Paradise is the largest oil painting in the world. Not open on public tours but included on private tours is a walk across the Bridge of Sighs to the dark cells of the Prigioni - the prisons from which Casanova made his famous escape. Lines for admission to this Venetian landmark are often long, but you can avoid these, and see sections of the palace not open to general visitors, with a Skip the Line: Doge's Palace Ticket and Tour. A local guide will take you past the lines and explain the history and art in each of the dazzling rooms before leading you across the Bridge of Sighs and into the notorious prison. Sweeping through the heart of Venice in a giant reverse S curve, the Grand Canal is the principal boulevard through the city, connecting Piazza San Marco, Rialto Bridge, and the arrival points of the rail station and bridge from the mainland. Only four bridges cross its 3.8-kilometer length, but stripped-down gondolas called traghetti shuttle back and forth at several points between bridges. The Grand Canal was the address of choice for anyone who claimed any influence in Venice. Palaces of all the leading families open onto the canal, their showy Venetian Gothic and Early Renaissance facades facing the water, by which visitors arrived. These grand palaces - or at least their facades - are well preserved today, and a trip along the canal by vaporetto is the best way to see them. And, of course, a ride along the Grand Canal in a gondola is one of the most romantic things to do in Venice at night. Once the only bridge across the Grand Canal, Rialto Bridge marks the spot of the island's first settlement, called Rivus Altus (high bank). Built in 1588, some 150 years after the collapse of a previous wooden bridge, this stone arch supports two busy streets and a double set of shops. Along with serving as a busy crossing point midway along the canal, it is a favorite vantage point for tourists taking - or posing for - photos, and for watching the assortment of boats always passing under it. The church of San Bartolomeo, close to the San Marco end of the bridge, was the church of the German merchants who lived and worked in the Fondaco dei Tedeschi (German Commodity Exchange) bordering the canal here. It has an excellent altarpiece, The Martyrdom of St. Bartholomew, by Palma the Younger. On the other side of Rialto Bridge is the busy food market, where Venetians and chefs shop for fresh produce and seafood. In the narrow streets of San Polo, beyond the market, are artisans' shops and mask-making studios, one of the best places for shopping in Venice. You'll also find places to eat that are not so filled with tourists as those nearer San Marco. This impressive white marble building was built between 1515 and 1560 to house a charitable society dedicated to San Rocco. Soon after its completion, the great 16th-century Venetian artist Tintoretto won the competition to paint a central panel for the ceiling of the Sala dell'Albergo by entering the building and putting his painting in its intended place before the judging, much to the irritation of his rival artists. He later decorated its walls and ceilings with a complete cycle of paintings, which are considered to be the artist's masterpiece. The earliest works, in the Sala dell'Albergo, date to 1564 and 1576 and include The Glorification of St. Roch, Christ before Pilate, the Ecce Homo, and the most powerful of all, The Crucifixion. Those in the upper hall depict New Testament scenes, painted between 1575 and 1581. The lighting is not good, and the paintings themselves are dark, but you can still appreciate Tintoretto's innovations in the use of light and color. You can see the ceilings more easily with one of the mirrors that are provided. More works by Tintoretto are in the chancel of the adjacent church of San Rocco. The delicate marble filigree by Bartolomeo Bon seems too lace-like to be carved of stone, and you can only imagine the impression this façade must have made covered in its original paint and gold. Along with the Porta della Carta in the Palazzo Ducale, also created by Bartolomeo Bon, this is considered the most perfect example of Venetian Gothic. You can admire the interior, too, as this palazzo is now an art museum, restored to provide both a setting for the art works and a look at the way wealthy Venetians lived in the 15th and 16th centuries. The connoisseur responsible for saving the palace, Baron Giorgio Franchetti, gave his art collection to the state in 1922, with works by Titian, Mantegna, Van Dyck, Tullio Lombardo, and Bernini. A trip to Venice wouldn't be complete without hopping aboard a vaporetto for the ride across the lagoon to Murano, home of Venice's fabled glass workers. They were sent here in the 13th century in hope of decreasing the risk of fire from one of the glass furnaces sweeping through Venice's tightly compacted center. Or so they claimed. Just as likely, it was to keep the secrets of glassblowing a Venetian monopoly. This was no small matter to the Venetians, whose Council of Ten decreed in 1454: "If a glass-blower takes his skill to another country to the detriment of the Republic he shall be ordered to return; should be refuse, his nearest relatives shall be thrown into prison so that his sense of family duty may induce him to return; should he persist in his disobedience secret measures shall be taken to eliminate him wherever he may be." It was a lot easier to keep track of them if they were confined to an island. The canal sides today are lined by glass showrooms and studios, showing everything from cheap imported trinkets to exquisite works of art. Inside the 17th-century Palazzo Giustinian is the Glass Museum, with one of the largest and most important collections of Venetian glass from the time of the Romans to the 20th century. But it's not all glass: The church of Santi Maria e Donato combines Veneto-Byzantine and Early Romanesque features, a result of its various stages of building between the seventh and 12th centuries. 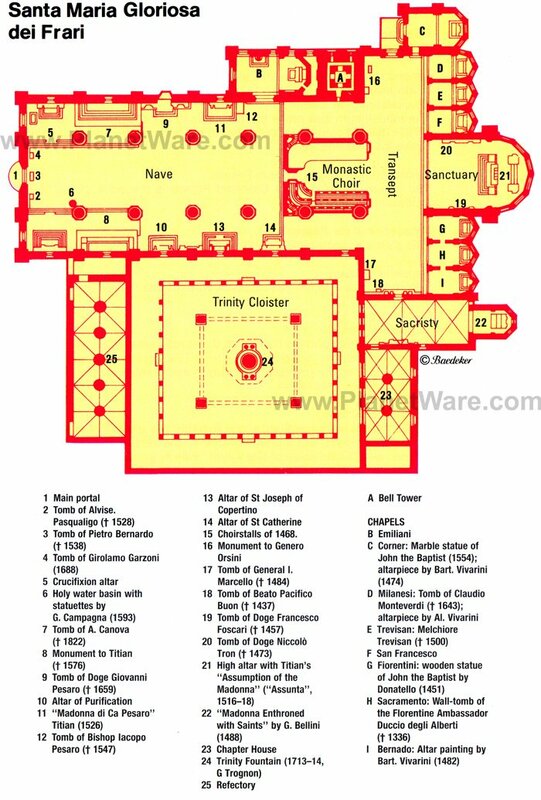 Notice especially the columns of Greek marble with Veneto-Byzantine capitals, the 12th-century mosaic floor with animal figures, and the St. Donato above the first altar on the left. Dated 1310, it is the earliest example of Venetian painting. The 14th-century San Pietro Martire contains several splendid Venetian paintings: Bellini's Madonna in Majesty with St. Mark and the Doge Agostino Barbarigo and his Assumption of the Virgin, along with St. Jerome in the Wilderness and St. Agatha in Prison by Paolo Veronese. It's a quick hop to the next island, Burano, a fishing village of brilliantly painted houses, known historically for its lace making. The Scuola dei Merletti (lace school) and its small museum will help you distinguish the real thing from the cheap imports you'll find in shops. The personal art collections of heiress Peggy Guggenheim are housed in her former home alongside the Grand Canal, Palazzo Venier dei Leoni. Although most of Italy's great art museums are filled with masters of the Middle Ages and Renaissance, this one concentrates on American and European art from the first half of the 20th century. The low building, with its spare, white interior, is a fitting venue for these bold and often dramatic works, which represent Cubist, Futurist, Abstract Expressionist, Surrealist, and avant-garde schools of painting and sculpture. The permanent collection includes works by Picasso, Dali, Braque, Léger, Mondrian, Kandinsky, Klee, Ernst, Magritte, and Pollock, and frequent exhibitions bring in works from other major artists. In the museum's sculpture gardens are works by Calder, Holzer, Caro, Judd, and Hepworth. The Monks' Choir is an outstanding example of the wood-carving of Marco Cozzi, with reliefs of saints and Venetian scenes. And the sanctuary contains the tomb of two Doges by Antonio Rizzo, and over the high altar is Titian's Assunta, painted between 1516 and 1518. The Mausoleum of Titian in the south aisle was a gift from Ferdinand I of Austria, when he was King of Lombardy Veneto. You can't help noticing the pyramidal mausoleum made by the students of the sculptor Antonio Canova in the north aisle, and opposite, the large monument to Titian, also by students of Canova. Beside the Cappella Emiliani, which has a fine mid-15th-century polyptych with marble figures, is Madonna di Ca' Pesaro, completed in 1526 and one of Titian's most important works. Called "Accademia" for short, this museum on the Grand Canal has the most important and comprehensive collection of 15th-18th-century Venetian painting in existence. Much of the collection was assembled from monasteries and churches that were closed and from the clearing of palaces of noble families, now displayed in the former Monastery of Santa Maria della Carità. Some of the galleries, such as the first one, which contains Venetian Gothic Painting, have richly carved and gilded 15th-century ceilings. Works are arranged chronologically, so you can not only trace the evolution of styles, but can compare the works of contemporaries. Highlights of the 15th- and 16th-century paintings are St. George by Andrea Mantegna, St Jerome and a Donor by Piero della Francesca, Madonna and Saints by Giovanni Bellini, Portrait of Christ by Vittore Carpaccio, and Madonna under the Orange Tree by Cima da Conegliano. St. John the Baptist and a magnificent Pietà by Titian, Tintoretto's Cain and Abel and The Miracle of St. Mark, Paolo Veronese's Marriage of St. Catherine and Supper in the House of Levi, St. Ursula by Vittore Carpaccio, and several works by Giambattista Tiepolo are also worth special notice. After the vast grandeur of St. Mark's and the soaring expanse of Frari, little Santa Maria dei Miracoli is like a fresh breeze, a masterpiece of Early Renaissance architecture by Pietro Lombardo. This jewel box of pastel inlaid marble was built from 1481 to 1489 to enshrine a miraculous picture of the Virgin. Unlike Venice's other churches whose facades are embellished with architectural flourishes and statues, Lombardo used painstakingly matched colored marble to create delicate patterns of rosettes, circles, octagons, and crosses on the facade. The method continues inside, which heightens the effect of the golden domed ceiling rising above gray and coral marble walls. The nave is demarked from the chancel by an exquisite Early Renaissance balustrade decorated with figures. It's no wonder that this is Venetians' favorite place to be married, as its interior is one of the most beautiful in the city. Just as Ca' d'Oro lets you glimpse into the life of the late Middle Ages, Palazzo Rezzonico gives a vivid picture of life here in the Baroque and Rococo periods, in the 18th century. Designed and begun by Venice's master of Baroque architecture, Baldassare Longhena, the palace was completed nearly 100 years later in 1750 by Giorgio Massari. The furnishings and collections complete the picture painted by the building, including its interior decoration of silk wall-coverings, elegant finish details, and Flemish tapestries. The costume collection highlights the importance of silk production in Venice from the late middle ages through the 18th century, when it was a major competitor with Lyon, France. Rigid technical regulations were enforced, resulting in some of the most beautiful silk fabrics ever made. So important was silk that even in times of war with the Turks, battle lines parted for the silk-laden ships to pass through. The museum details the importance of luxury goods, particularly clothing and fashion, for the Venetian economy in the 18th century, when brocades embellished with gold and silver thread produced here were treasured throughout Europe and the New World. Venice began on this outer island of Torcello, founded here as early as the seventh century, and by the 12th century, it was a flourishing commercial town. Of its palaces, churches, shipyards, and docks, only two churches and a handful of houses remain, dotted over the large island. You can get some idea of the importance of Torcello from its cathedral, dedicated in 639 to Santa Maria Assunta. It is considered the best remaining example of Venetian-Byzantine architecture. It was reconstructed in 834 and 1008, and the portico and two lateral apses were added in the ninth century; much of the building dates from the 11th century. The mosaics lining the interior are outstanding. The oldest of these are in the chapel to the right of the high altar, where 11th-century angels carrying a medallion with the Lamb of God show a strong Byzantine influence. The Fathers of the Church; Gregory, Martin, Ambrose, and Augustine; were added later, along with Christ in Majesty between two Archangels. The 12th-century mosaics in the main apse and the Virgin and Child above a frieze of the Twelve Apostles surrounded by flowers are all on a gold background. The west wall is covered in tiers of a Byzantine mosaic of the Last Judgment from the late 12th or early 13th century. Along with the exquisitely detailed marble carvings on the rood screen, notice the 11th-century mosaic floor and the pulpit, which was assembled in the 13th century from earlier fragments. Adjoining the cathedral is the little 11th-century church of Santa Fosca, on a pure Byzantine central plan with a portico. 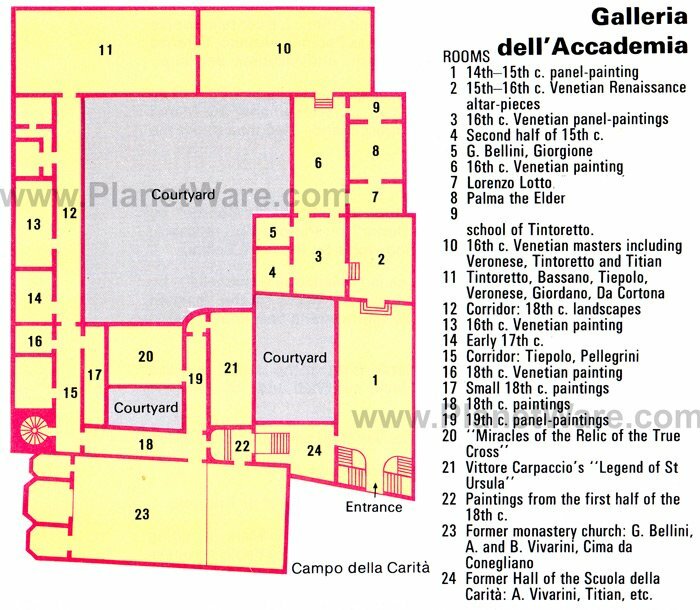 Your admission ticket includes the interesting little historical museum with artifacts from antiquity to 16th century. The long (12-kilometer) strip of sand that separates the Venetian lagoon from the Adriatic Sea was Europe's first real beach resort, and in its heyday, at the turn of the 20th century, was Europe's most fashionable watering hole for royalty and the day's celebs. Today, the grand hotels where they reposed still welcome guests and still own the beautiful fine-sand beaches, although for a price you can share them with hotel guests. Public beaches are at the north end of the island, near the church of San Nicolo, where relics of St. Nicholas are revered. After considerable controversy between Venice and Bari, which also claims the saint's relics, it has been established by an anatomical expert that both have an equal claim; about half the skeleton, including the skull, is in Bari and the other half in Lido. The cloisters are lovely, and in the church are paintings by both Palma the Elder and Younger. You can tour Lido on foot or a bicycle rented near the landing stage where the 10-minute Motonave or longer vaporetto ride from St. Mark's deposits you. The island is filled with Art Nouveau villas and hotels; to see the villas, wander along some of the side streets. In August and September, the Lido is the venue for the International Film Festival, held in the Palazzo del Cinema. The Arsenal, the shipyard of the Venetian Republic, was the largest and busiest in the world until the end of the 17th century. From its founding in 1104, it was continuously expanded, until in its heyday, it employed as many as 16,000 workers. Closely guarded to preserve the secret production methods that enabled it to build a fully sea-ready ship in a single day, the Arsenal was accessible by one land and one sea approach only. So tight was its security that the Republic managed to keep its art of shipbuilding secret until about 1550. At its imposing land entrance is a Renaissance-style triumphal arch guarded by lions brought from Greece as booty after the reconquest of the Peloponnese in the 17th century. Of the two lions on the left, the larger one stood guard over the port of Piraeus, while its fellow stood on the road from Athens to Eleusis. Adjacent to the shipyard is the Museum of Naval History, displaying impressive booty brought back from the numerous maritime wars of the Republic, along with fascinating collections that include votive paintings made on wood panels in thanks for rescues at sea. These charming pictures are interesting for their depiction of sea life, not so much for their artistic finesse. Models and artifacts relate to shipbuilding, the types of vessels afloat in the period that Venice was a sea power, and the Republic's strongholds throughout the Adriatic. A large model of the legendary ship of state Bucintoro, the Doge's sumptuous official galley, is especially interesting. Luxury Hotels: Only a few steps from the Salute stop and one stop from St. Mark's, Ca' Maria Adele is a lush island of serenity near the Guggenheim Collection, with antiques-furnished rooms and superb guest services. The Gritti Palace, A Luxury Collection Hotel was once the home of a Venetian Doge, and its large, sumptuously appointed rooms (some with balconies) overlook the Grand Canal or a quiet piazza close to St. Mark's. Small, family-run Al Ponte Antico Hotel is also in a well-renovated palazzo whose terrace overlooks Rialto Bridge, a bit of a walk from the Vaporetto, but with cooked-to-order breakfasts. Mid-Range Hotels: Elegant and luxurious Hotel Ai Cavalieri di Venezia is also a walk from the Rialto stop, but well located near attractions. Londra Palace could hardly be better located, a three-minute walk from St. Mark's at the San Zaccaria stop, with balconies overlooking the lagoon; breakfast is included. The large rooms at NH Collection Venezia Palazzo Barocci overlook the Grand Canal, at the San Angelo vaporetto stop. Budget Hotels: With balconies on the Grand Canal and windows on the courtyard, Hotel Al Ponte Mocenigo is close to the vaporetto at San Stae, only three stops from the train station and five minutes from Rialto. Rio Venezia Hotel is just behind St. Mark's, a block off the Grand Canal. Also just steps from St. Mark's, Hotel Orion is on the shortest route to Rialto. 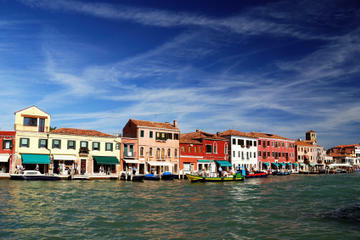 Exploring the Islands: A highlight for most travelers is a visit to the islands of Murano and Burano. The easiest way to explore these islands is on a five-hour guided Murano Glass and Burano Lace Tour from Venice, which includes motorboat transport to the islands, with visits to a glassblowing factory on Murano and lace makers on Burano. Sightseeing and Gondola Rides: Venice is a little bit of a maze, and if you have limited time, taking a guided tour is a good idea. The Venice Walking Tour and Gondola Ride includes the best of both worlds, with an opportunity to learn the history of the sites as you wander the city and then relax and enjoy the scenery on a gondola ride. Alternatively, to just soak up some of the ambience, skip the walking piece and see the sites from the water on a 35-minute shared gondola ride while being serenaded on the Venice Gondola Ride and Serenade. A third option, the Venice Super Saver: Skip-the Line Doge's Palace and St. Mark's Basilica Tours, Venice Walking Tour and Grand Canal Cruise offers priority admission to the two must-see sights with the longest lines, a guided walking tour that takes you to some of Venice's secret sights, and a water-taxi cruise along the Grand Canal. After you've visited St. Mark's Square, the Basilica, and the Doge's Palace and taken in the sights along the Grand Canal, you may want to explore some of the beautiful nearby towns. Only 20 kilometers away is pretty Treviso, enclosed by walls and with its own waterside villas. Padua, with its famous shrine of St. Anthony, is easy to reach by train or by a cruise along the historic Brenta Canal. Stop along the way at Villa Pisani, one of the most beautiful gardens in Italy. Vicenza and romantic Verona are a little farther west but also easy day trips from Venice. North of Treviso are the mighty Dolomites, with some of the top ski resorts in Italy, and along the Adriatic to the east is Trieste, where Italian blends with Habsburg architecture reminiscent of Vienna. Following the Adriatic coast south, you'll reach Ravenna, with its magnificent Byzantine mosaics, and Rimini, one of Italy's best beach resorts.